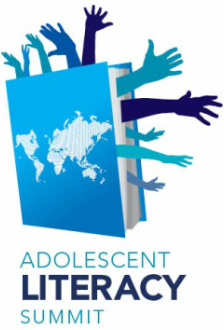 Thank you for participating in the 5th Adolescent Literacy Summit! See you April 8 and 9, 2021! ​Join over 400 educators this Thursday, April 11 and Friday, April 12 for the Manitoba Reading Association's 5th Adolescent Literacy Summit: Unleash the Power of Literacy. We are proud to present Doug Fisher, Nancy Frey, Linda Christensen, Tim Shanahan, Cynthia Shanahan, and David A. Robertson. They join our expert local presenters, who will all help us learn to Unleash the Power of Literacy. During the Summit, tweet us @mra_mb with the hashtag #MRAsummit. Your online participation will enter you into a variety of giveaways! We are happy to announce that local Ojibway artist JEN STORM will take part in Friday afternoon's graphic novel and comics panel. Jen's graphic novel Fire Starters (illustrated by Scott Henderson, who is also part of the panel) is very popular with students, and we are excited that she will bring her talents and expertise to the Summit. Unfortunately, Hope Nicholson will be unable to join us due to a scheduling conflict. The Manitoba Reading Association (MRA), a provincial council of the International Literacy Association, presents the 5th Manitoba Adolescent Literacy Summit April 11 and 12, 2019. The Summit gathers hundreds of educators from around Manitoba, Canada, and internationally to share literacy practices and strategies that meet the needs of all learners. The Manitoba Reading Association is a provincial council of the International Literacy Association (ILA).